There’s one thing that we will always notice about someone we’re interested in: their shoes. What you put on your feet says a lot about you as a person, including what makes you comfortable, your taste in fashion and style or even some of the many hobbies that keep you busy throughout the year. And yes, you’ve probably already guessed it… Boys are definitely attracted to some cool, new shoe designs that have recently hit the market and have people around the world going crazy! 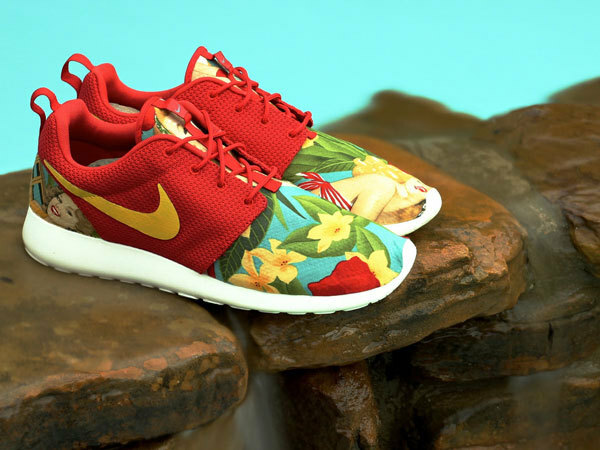 Quite possibly one of the most comfortable shoes ever designed by the makers at Nike, the Roshes are very creative ways to express yourself and show off your personality. These “Island Girl” inspired creations shown above are perfect for that mid-summer jog around the block or even just a casual trip to the mall with some cute jean shorts and a shirt of your choice. They’re all about being creative, and most importantly, being you. Perfect makeup styles that boys love! June 22, 2014 June 25, 2015 Comments Off! January 6, 2014 May 16, 2014 Comments Off! Foods That Get You in the Mood to Have Fun! May 18, 2014 June 21, 2015 Comments Off!